Do you think belly fat loss will melt away faster then say around the fatter persons heart or liver or even her arms and legs? I wanted to find some research to support the claim that we are able to just drop inches from our waists. One of the reason for my skepticism stems from my own weight loss experiences. I never start losing weight from my belly first! The dropping inches from my legs, arms and breasts always supersedes my girth! These are the easiest ways to lose weight and the easiest places. Belly Fat Loss has been researched recently at one of our more prestigious colleges. The study has proved that aerobic exercise such as jogging and running "burn more belly fat than weight lifting or non-aerobic activity"
Upwards of 67% more weight dropped. All well and fine, it's no mystery that with exercise added to a losing weight program, belly fat will diminish. But what if exercise isn't the issue? Can you lose from a specific areas on your body just by what you eat or don't eat? Yes, if you drop at least 200 calories from your normal diet each day. So, says, the Mayo Clinic researchers. However, you lose weight everywhere else too, not just belly fat weight loss! Still getting nowhere with clinical trials. I pressed on to other studies and found more research on the subject when dieting. Next study projected that 70% of black women by 2020 will be obese with huge areas of abdominal fat which can shorten their lives. It seems belly fat is the most deadly of body fat if there's to much. 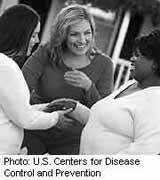 BMI's of over 30 are highest at risk for heart disease only if he or she has larger degrees of fat around the middle. 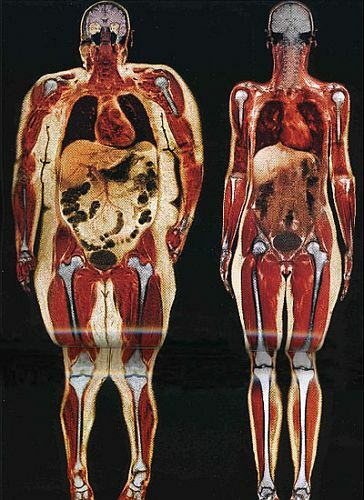 BMI's of 25 and above were still at risk when belly fat was an issue. Black Women, even obese ladies, whose fat was carried in their butts and legs were much less apt to suffer from heart disease, stroke and other fat related illnesses. Still hopeful I kept digging for the "Lone Wolf" AKA's "Killer-Fat,"or "Belly Fat! Loss!" The fat that protects all abdominal organs such as kidneys, the liver and spleen etc. All at risk when fat keeps encroaching on the organs space. Some fat is needed within the abdominal cavity to soften any trauma to the delicate organs. But not 2 inch layers! Harvard scientist have located genes which help determine where fat will build up in the human. To find the ratio, divide your waist size at its narrowest, by your hip measurement where it's the widest. "For women, the risk for heart disease and stroke begins to rise at a ratio of about 0.8." I haven't figured out yet how all of this applies, but losing weight is still important. Just go ahead and sign-up for Fat Slap News maybe by Christmas I'll have an answer to this daunting question. Until then I'll continue the quest to find the troublesome true about belly fat loss. Can you lose weight in one particular area without exercising that specific area? My more than educated guess is"If you lessen calories and lengthen exercise of any kind you'll lose abdominal fat. Inside and out of your body! You'll lose weight all over your body, weight loss won't be exclusive to the tummy!" "Weight is not needed for the essentials of live is best taken off." Belly Fat Loss is going to be lost as much or as little as every other part of your body, unless you do specific exercise to drop the bell.